Denver Colorado is a beautiful city which is rich with culture , sports , music , mountain activities , shopping and much more . Denver is one of the big cities which can handle and facilitates big meetings and conventions like American Society for microbiology . Most of the conventions are held in Colorado convention center . Denver has lots of big and nice hotels around convention center . 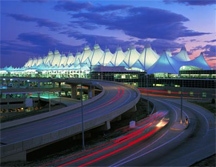 Denver has good source of transportation from Denver International Airport to Denver downtown such as Limousine service , Taxi and shuttle service . Denver Airport Limousine is already busy getting reservations from the members of American Society for microbiology . Denver Limousine is ready to take the Responsibility to transfer guests From Denver International Airport to Downtown Denver . All the experienced drivers of airport limo service in Denver also service for people from Hotels to different events and places like Denver Zoo , Denver museum of nature and science , Denver botanic garden , Denver art museum and Rocky Mountains . Limousine Service Denver also provide transportation to Denver Broncos Game , Dinner restaurant , Pepsi center and all over Colorado . We are sure we will provide best transportation service to all our guests as usual .